Designers are inspired by many muses, but can clothing come from the heart like other artists? 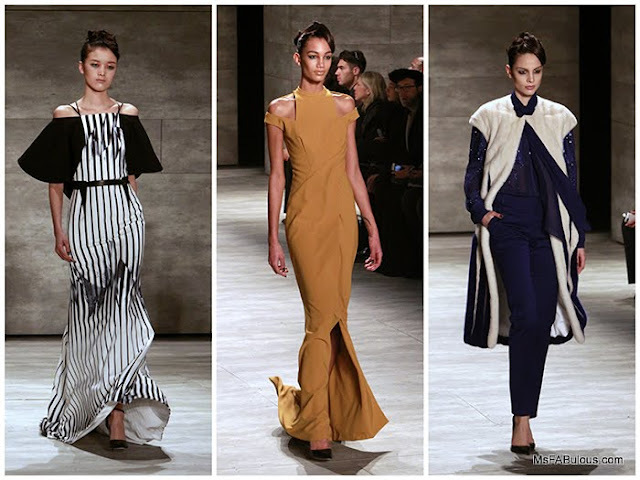 Bibhu Mohapatra presented an emotional collection for fall 2015. Originally, there were pretty motifs of flowers. 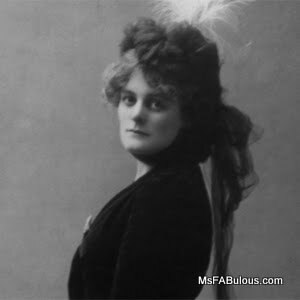 An early inspiration came from the revolutionary and paramour to many creative souls, Maud Gonne. (She was famed as a lover of William Butler Yeats, Auguste Rodin and Camille Claudel). Sadly, while working on this collection, Mohapatra lost his father, and his mourning became a part of his designer's process. The color palette was more restrained. White and black became dominant as white is a mourning color of Asian cultures, black the color of mourning for Western cultures. He took some time off to grieve in India, and he added hues from his home country like turmeric yellow, earthy red and indigo blue. Instead of flowers, the art turned to brush stroke patterns in the prints and embroideries with a touch of feathers. I truly stretched out on a limb to shoot this show. The photographer's risers were so crowded that the only angle I could get access to was to balance myself on two opposing railings and hope not to dive face down onto other shooters. It was absolutely worth the effort. The long silhouettes were beautiful. There were furs, refined day dresses and the sweeping gowns Bibhu Mohapatra is known for. You could see the mood was more restrained, more serious, but lovely. I'm so sorry for his loss, but I am gratified that he was able to share his emotions through his work.